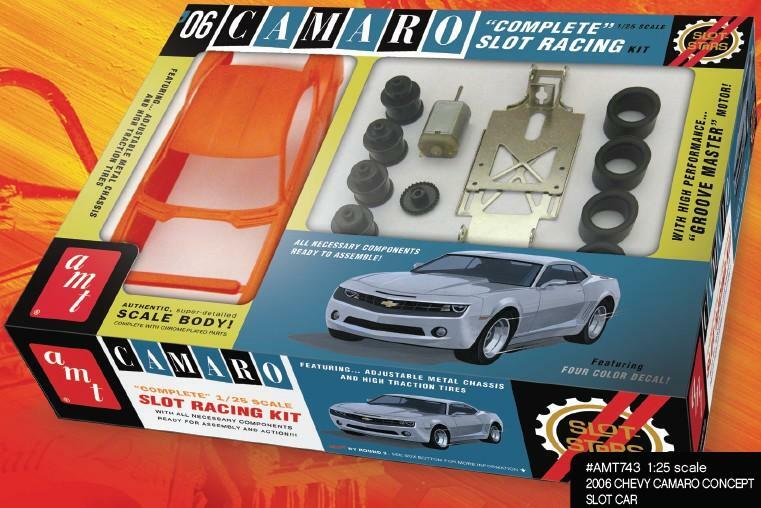 These new Retro Deluxe™ format kits give you all the parts needed to build a complete electric slot racer. Just paint, decal, assemble and GO GO GO! For running gear, an all-new, fully adjustable and extremely durable metal chassis has been developed. Both the wheelbase and overall chassis width can be changed, allowing the chassis to fit under almost any 1/25 OR 1/32 model car body! For go-power, each kit includes a high-performance, 12 volt DC, 22,300 RPM "GROOVE-MASTER™" in-line motor that will easily satisfy all newcomers to the hobby as well as serious veteran competitors. Each SLOT STARS kit features a complete, fully detailed 1/25 scale model car body with chrome accessories where applicable. These are the same great bodies you find in AMT's static kits, but they're molded in ABS plastic for durability. One-piece, smoke-tinted vacu-formed window units are included. 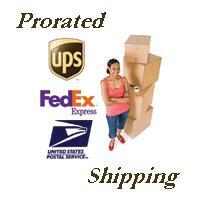 The clear plastic static kit windows are also provided as an option. Every kit includes a "retro racing" decal sheet with numbers and stripes and complete instructions for assembly.